This edition continues from the last Expect Everything, in which I found myself in front of lots of parrots in El Condor, Argentina. I had no idea they were watching me until I stumbled, at which point an entire cliff side of parakeets laughed at me. At that point, an important phrase popped into my head – “Know Your Audience”. In this case, I didn’t even know they were an audience and I had to learn in a silly way that 70,000 eyes were on me. Each pair of eyes was paying attention to what I did and said. How often in your work life or personal life have you discovered that it matters what you say and do? Have you sometimes said exactly the right thing that delivered your message spot on at your office or at home? Or, have you sometimes said exactly the wrong thing because you didn’t read the audience right or not know that they were in fact an audience? Aside from the obvious problems trying to get a message across to a bird colony (which, incidently, likely only understand Spanish), I was reminded that it’s always important to know your audience. This week, whether you find yourself in front of 35,000 parrots or 10 colleagues or your 2.3 kids, think about who is listening or watching, and what it is they need to hear from you. If you missed the last Expect Everything, read it HERE. 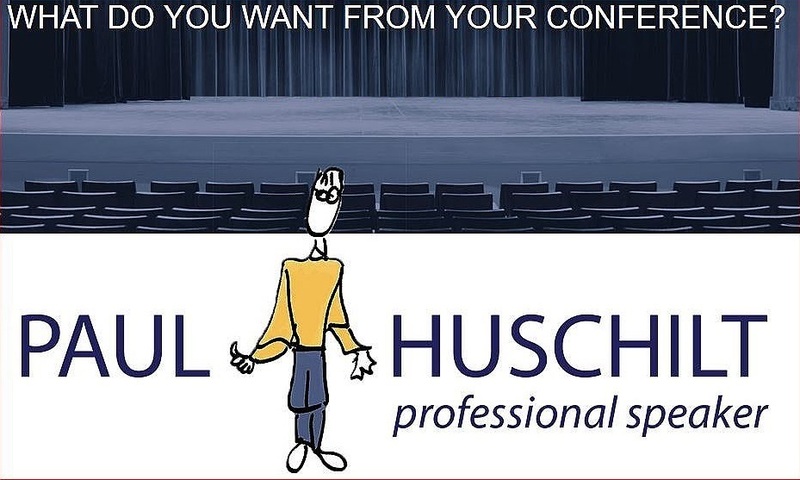 Paul is a professional speaker and writer with an odd background of corporate work, arts management, training in adult ed. and counselling, singing in the opera, and acting. He creates and delivers very funny keynotes, including the one-of-a-kind keynote "The Ultimate Ending / Paul's World Famous Conference Ending Summary". click here to sign-up for your own copy. Copyright © 2017 Tales, Talks, Training, Inc., All rights reserved. You are receiving this email because you opted in by confirming your subscription in an email or at my website.